Jack Kent Cooke 2008 Undergradutae Transfer Scholar Deeneaus Polk has been selected for the German Chancellor Fellowship. Polk transferred from Mississippi Gulf Coast Community College to University of Mississippi and graduated from University of Mississippi in 2011 with a B.A. in International Studies. This article originally appeared on Ole Miss News. OXFORD, Miss. 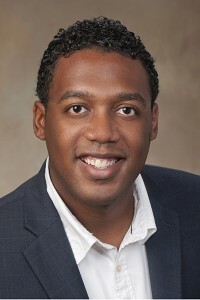 – Deeneaus Polk, a 2011 University of Mississippi graduate and Pascagoula native, has been selected for an exclusive German Chancellor Fellowship that will take him to Germany for a year of study and research on a project of his own creation. Deeneaus Polk is the first Mississippian to receive a German Chancellor Fellowship. The fellowship is a program created by the German chancellor and is managed by the Alexander von Humboldt Foundation. The opportunity is available to individuals from Brazil, Russia, India, China and the United States interested in leadership in the areas of politics, economics, media, administration and culture. Polk is among 50 fellows worldwide this year and is the first Mississippian to be chosen for this fellowship. Polk is a graduate of Pascagoula High School. He earned a bachelor’s degree in international studies at UM and was a member of both the Croft Institute for International Studies and the Sally McDonnell Barksdale Honors College. Also in 2011, he was awarded a yearlong Fulbright English Teaching Assistantship to Germany. He added that his previous experience in Germany changed his life and allowed him to experience a different culture. Polk’s selection is a triumph for both the university and for the entire state, said Douglass Sullivan-Gonzalez, dean of the Honors College. Polk said his motivation for applying for the program is to make a difference in Mississippi. “The time I spent at Ole Miss really exposed me to a side of Mississippi I’d never seen before,” he explained. “I came to realize that Mississippi, where magnolia trees sway gracefully to the silent whisper of gentle morning flurries, is also heavily defined by gaps. These gaps come in many shapes and sizes. Polk will be researching the German workforce and vocational education systems, hoping to return with knowledge of concepts and principles to develop a similar system in Mississippi through the analysis of agriculture, manufacturing, logistics and transportation. Gispen said Deeneaus has been recognized before for his potential. In 2008, he was the recipient of a Jack Kent Cooke Scholarship and received a fellowship from the Institute for International Public Policy while studying at Croft.